When was the last time you received the care and personal attention you deserve when talking with a professional about your health? 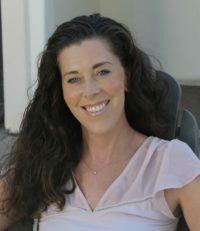 As a Certified Holistic Health Coach (CHHC) with training in functional medicine, I help my clients create new relationships with foods, their habits, and their bodies so they can improve their health and happiness. During my time as a clinical nutritionist, I have witnessed and experienced how drastically diet and lifestyle changes can transform physical and mental health. My intention is for my clients to feel motivated and inspired after every session. We will talk about things beyond food, seeking to bring balance to other important elements of life, such as relationships, sleep, and career. I personally and carefully guide my clients to make simple, small changes that improve their lives. If you’re curious about how my nutrition programs run and what it’s like to work with me, please schedule a free 50-minute consultation. Let’s talk today.